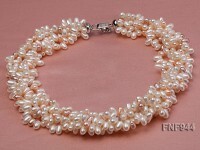 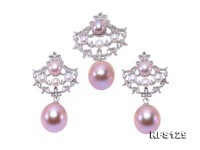 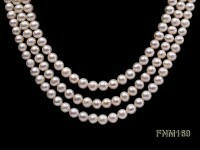 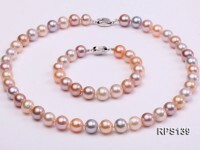 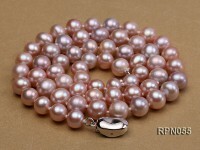 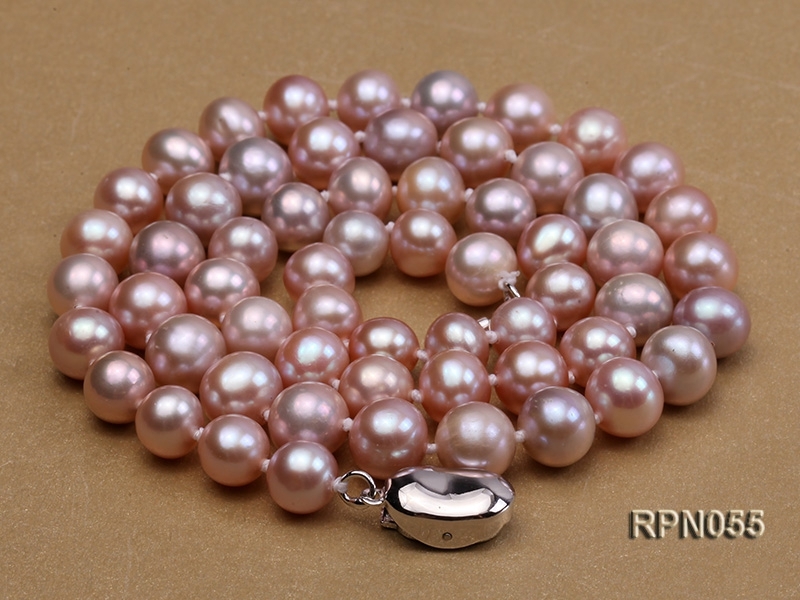 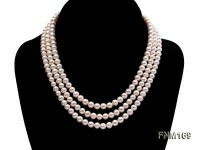 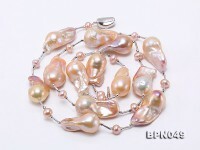 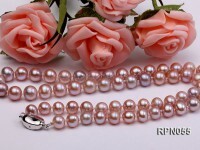 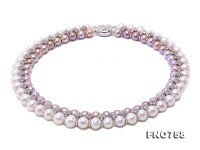 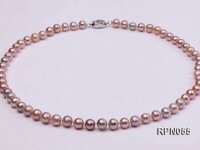 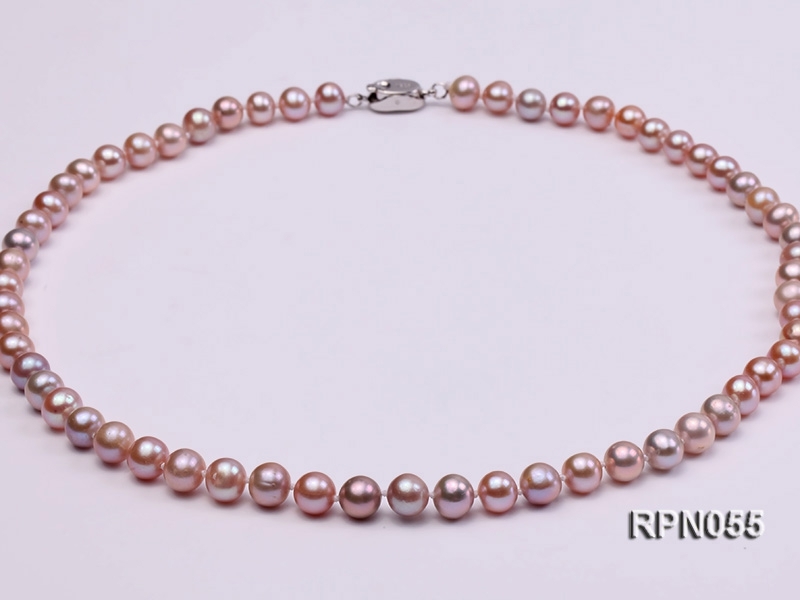 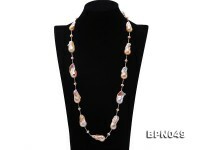 Quality single-strand princess necklace made of AAA-grade 7mm romantic lavender round freshwater pearls. 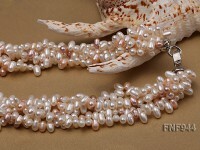 The necklace is 18 inches in length and completed by a delicate gilded clasp. 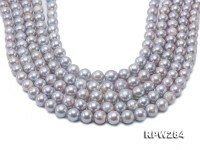 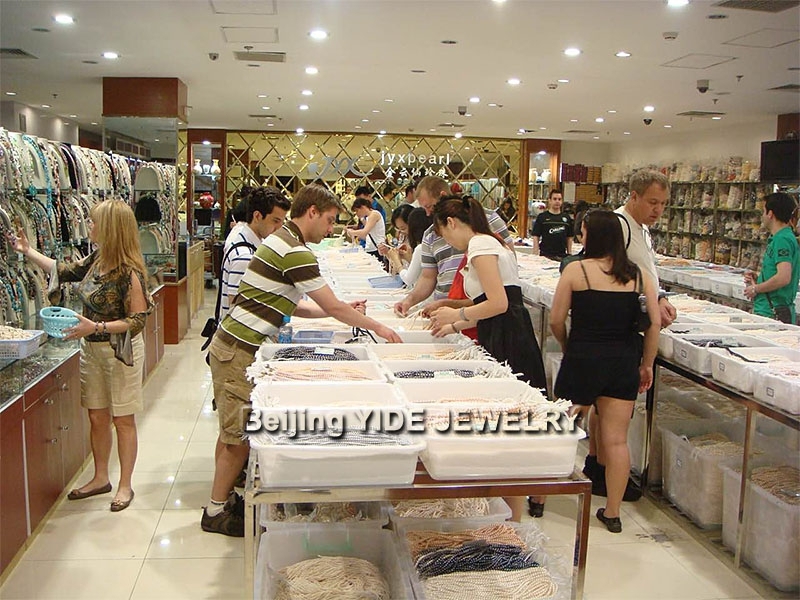 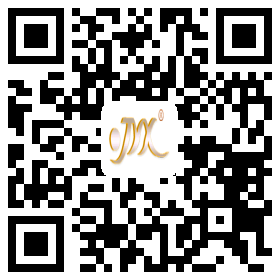 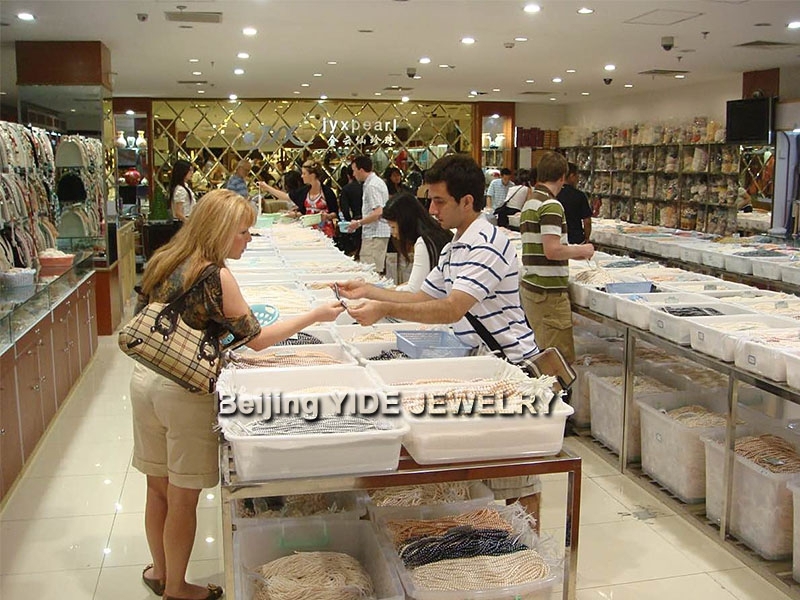 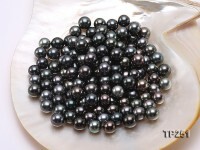 The pearls are carefully selected by our professionals and uniformly have excellent roundness, splendid mirror-like luster and smooth surface. 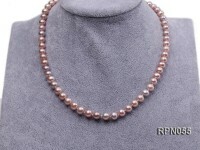 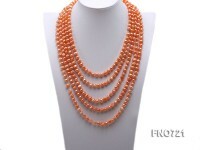 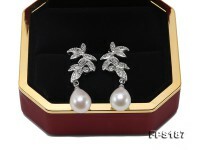 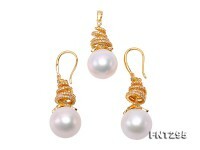 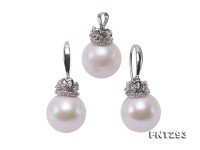 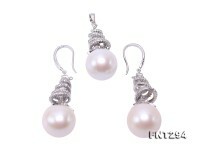 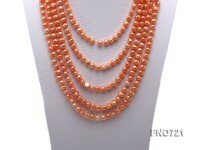 There’s a solid manual knot between each two pearls to ensure security and beauty while wearing. 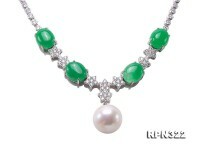 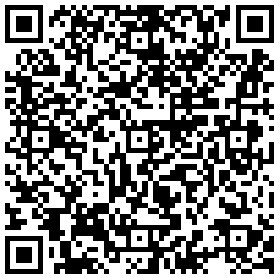 Ladies of refined taste deserve it.